The Palomar Icon™ is the next generation of aesthetic technology for skin resurfacing, wrinkle reduction, and scar treatments. The Palomar Icon system features the FDA approved Skintel™ Melanin Reader that customizes treatments based on an individual’s skin type. It also provides improved patient comfort with adjustable cooling technology. Skin rejuvenation treatments can treat dull or discolored skin. Brown spots, red veins, fine lines, acne scars, wrinkles, and enlarged pores can also be minimized or eliminated with the newest and most effective technology. Schedule your complimentary assessment with our cosmetic providers. Purchase a package of three (3) Palomar Icon IPL treatments for only $960.00 (savings of $240.00). Introducing the CoolAdvantage applicator, which delivers safe and efficacious results in just 35 minutes, shortening CoolSculpting® treatment time by nearly 50 percent. CoolSculpting® is the only non-invasive procedure that uses advanced cooling technology to gently and effectively target and eliminate fat in specific areas of your body. No Incisions. No Anesthesia. Minimal Downtime. Schedule your complimentary assessment with our cosmetic providers. Purchase one area of Coolsculpting treatment and receive 50% off on the second area treatment. NEOCUTIS, a leader in innovative, effective skincare, brings the precision of Swiss technology and cellular therapy research together for scientifically advance breakthroughs in skincare. Care of sensitive, stressed and irritated skin. All NEOCUTIS products are formulated with a blend of science and Swiss technology to enhance the skin’s natural beauty. Each product helps diminish the visible signs of skin aging and soothes stressed and irritated skin. Receive 25 percent off on all NEOCUTIS products. Purchase $100.00 in skin care products and receive 10% off. 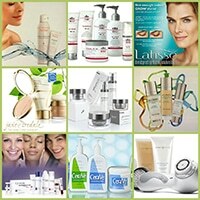 Purchase $200.00 in skin care products and receive 20% off. *Restrictions apply. Must purchase two or more products to receive discounts. Brown spots are a common part of aging. Over time, however, they can negatively impact the appearance of one’s skin. At the Center for Dermatology and Laser Surgery, our cosmetic providers offer several options for eliminating or diminishing stubborn brown spots in order to keep the skin looking more youthful. Brown spots, also known as age or liver spots, are flat, painless, and are light brown-to-black in color. They vary in size, but are usually larger than freckles and tend to appear on the parts of the body that are most often exposed to the sun, such as the face, hands, arms and shoulders. The development of brown spots can depend on several factors, including daily exposure to ultraviolet (UV) radiation, injury to the skin, previous sun damage, as well as one’s skin type and genetics. 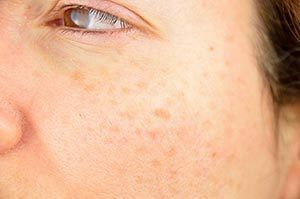 Brown spots usually start to appear in the late 20s, but depending on the patient, they can show up earlier or later in life. At the Center for Dermatology and Laser Surgery, we offer numerous effective treatments for reducing the appearance of brown spots and skin discoloration to promote a more uniform complexion. These treatments include laser, both resurfacing and non-resurfacing, chemical peels, as well as topical bleaching. Other procedures that are performed at the Center for Dermatology and Laser Surgery for the treatment of brown spots include liquid nitrogen and microdermabrasion. Following a thorough skin examination of the area in question by one of our certified professional providers, we can then determine the most appropriate individualized course of treatment. Remember, it is never too late to get rid of unsightly brown spots to attain clear, blemish-free skin. 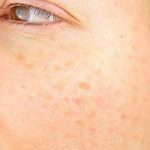 Those beginning to see the first signs of brown spots may also consult with our cosmetic providers regarding skincare treatments and regimens that can preemptively prevent the development of more brown spots. Are you interested in learning more about the Center for Dermatology and Laser Surgery’s various treatments for brown spots? Call us today at 503-297-3440 to schedule a complimentary consultation with our cosmetic providers. For those people dealing with the unwanted appearance of spider veins on their legs, confidence and self-esteem can be a daily struggle. 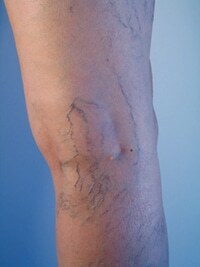 Spider veins are enlarged blood vessels which appear red or blue through skin. Dr. Bernard Gasch of the Center for Dermatology and Laser Surgery, explains how the cosmetic dermatology procedure known as sclerotherapy can effectively treat these unattractive veins on legs. Dr. Gasch, who specializes in general and cosmetic dermatologic procedures, states that sclerotherapy is still the most effective treatment for spider veins. “Sclerotherapy has been used to treat the appearance of spider veins for many years. The actual procedure involves injecting a certain solution into the vein which causes the walls of the vein to become damaged, resulting in the closure of that vein over a short period of time.” Dr. Gasch explains that although the actual procedure of sclerotherapy has remained similar for decades, the solutions used in sclerotherapy have greatly evolved over time, resulting in much less discomfort than previously. 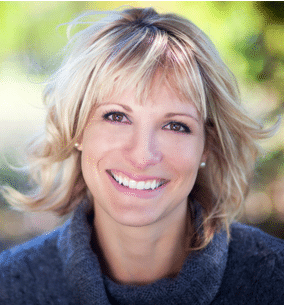 “Gone are the days of using saline solution for sclerotherapy,” says Dr. Gasch. “Three years ago, the FDA approved Polidocanol, also known as Asclera, which has resulted in virtually painless slerotherapy with minimal side effects. In further explaining sclerotherapy, Dr. Gasch states that the procedure is most effective for small more superficial red or blue veins, not for larger bulging varicose veins. Dr. Gasch reiterates that the treatment does not require any anesthesia and that patients can return to their normal activities within a few days. Dr. Gasch does recommend that his patients wear compression stockings for the first few days following the procedure, in order to improve the results. In addition, many patients will need 2 to 4 treatments to achieve their desired outcome. Call us at 503-297-3440 and make an appointment for sclerotherapy.